Why is the type of diffuser I choose important? Honestly… think about how many hours in the day you sit under a fluorescent light? You probably spend at least 6 to 7 hours straight sitting beneath the glare of a fluorescent light bulb while at work alone. That doesn’t count the hours spent under fluorescents while shopping, at the gym, getting your hair styled, at the bank, etc. Have you or anyone you know ever complained about the glare of a fluorescent light? This glare is nasty stuff! Glare scatters light inside the eye, distorting your vision. Glare can even be painful, leading to headaches, eyestrain and visual fatigue. Fluorescent lamps also emit UV rays, which fades the colors in your clothing, paintings, photographs, carpets, drapes and wood furniture! If you’re experiencing this, especially at work, you’re not alone. 70-80% of computer-oriented workers in the United States complain of the headaches and eyestrain caused by fluorescent lighting. Maybe you haven’t noticed your clothes fading, but fluorescents most definitely have an impact on your work day! Eyestrain is commonly overlooked. 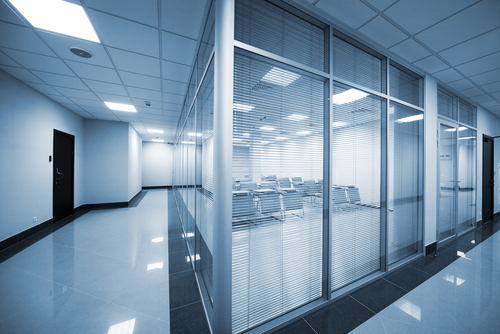 Exposed fluorescent tubes, without a cover can have a negative impact on your productivity and your eyes! Diffusers spread that bright, glary light out, making it easier on your eyes and improving your visual efficiency. A good rule of thumb is, the more diffuse your light is, the better. Naturalux™ Filters are an amazing product designed to eliminate the eyestrain and fatigue caused by fluorescent lights! Naturalux™ Overlay Lenses create a visually soothing, yet visually efficient lighting environment. This means no more blur when staring at the computer screen! They also absorb 100% of the harmful UV rays emitted by your fluorescent lights. These lenses have the ability to color-correct ordinary fluorescent light emitted by fluorescent lamps. As light passes through the filters, they simulate the same levels of red, orange, yellow, green, blue, indigo, and violet found in full spectrum sunlight. Some customers with Seasonal Affective Disorder (S.A.D) have even reported that they feel much better under their NaturaLux™ filtered light. Diffuser Specialist is currently the International Distributor for this product and a leading proponent for better lighting in our schools, hospitals and workplaces. These spaces should be provided with the most visually and energy-efficient lighting possible so that their occupants can achieve their greatest potential. Learn more about Naturalux™ Filters and how they can reduce the glare in your office, or call 210-340-1400.